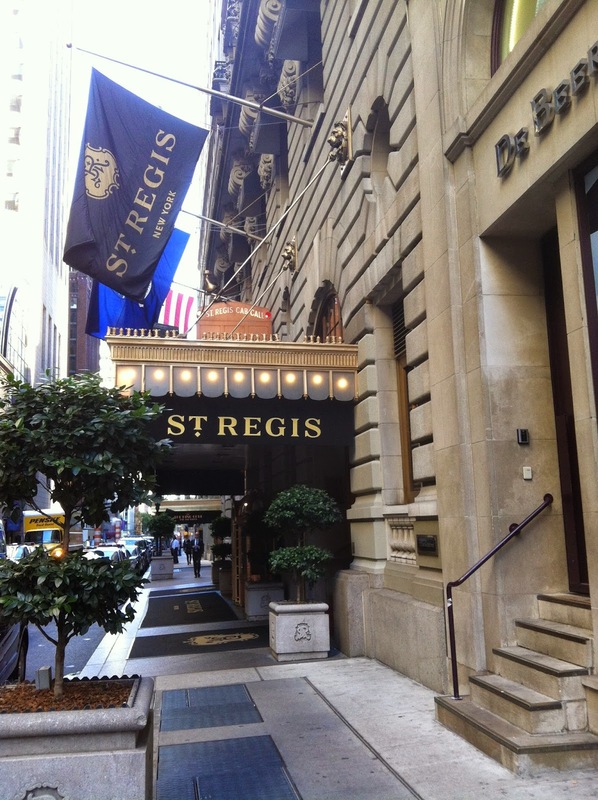 The hotel is located off 5th Avenue so the walk from the subway puts you amid the sophisticated hustle and bustle of the city. 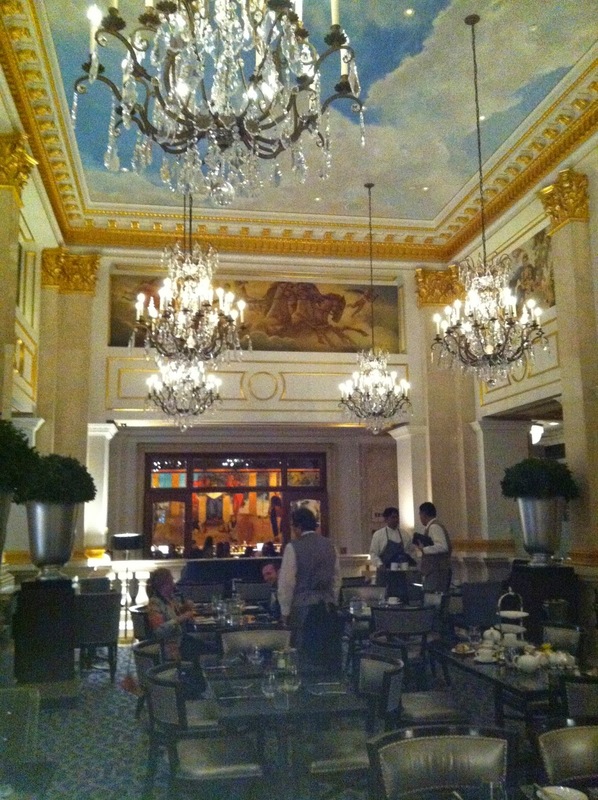 Tea is served in the King Cole Salon which is a grand room - tall ceiling with murals, gold trim, and crystal chandeliers. However, it's not a feminine room. The seating and floor decor is decidedly dark and masculine. The staff was patient and polite. There was a minor issue with the sandwiches. We were not given an opportunity select our sandwiches. Roast beef and salmon sandwiches were served which I could not eat because I don't eat meat. However, our server accommodated my request for additional vegetarian options. The sandwiches and quiche were quite good - freshly made and the right amount of everything. I don't think the scones were memorable as I can't recall anything beyond that they were accompanied by cream, preserves, and lemon curd. Four types of sweet pastries were served - red fruit tarts, macarons, eclairs, and ginger cakes. The tart and eclair were my favorites. Jee noticed that the tart had a hidden pocket of matcha. Delicious. Last, but not least, the tea. A generous selection of teas is offered. The list is dominated by blacks which makes sense for a traditional afternoon service. The complete tea menu is available here. Nice write up! It was a lovely afternoon. We should try for the Plaza soon!